Thanks, Adam. Early days yet, but there has already been a lot of thoughtful input from the various teams organising WCEU2019. It will be good to get broader community input now as things progress. Have you started exploring the setup process? Currently, the thinking is to make the PWA available as a plugin pre-installed on a WordCamp site (initially deactivated). In future, it could potentially be bundled within the WordCamp theme, and simply turned on as required. The vast majority of the PWA content would feed directly from existing content on the WordCamp site. The alerts functionality for attendees would probably need to be powered by an additional Custom Post Type, which would be loaded by the plugin. Initially, the only PWA setup options we have discussed as being required would be options to choose the preferred colours for the PWA layer, so that it matches the broader colour scheme of the WordCamp site. Colour combinations would need to be accessible, of course, and there could be prompt built in alongside the colour picker to ensure the chosen colour contrast works accessibly. Broader stylistic changes could be made by overriding CSS. It would be good to think about this on-boarding process for new WordCamp users when the PWA functionality is first activated. Seems like this would be a big win for WordCamps — any reason not to enable it by default? From our discussions, this definitely would be the aim. Although, the contextual layer of content for attendees that these enhancements provide would of course only be relevant in the run up to and during the Camp itself, so the idea would be to allow users to switch this layer “on” when they require it. And by “PWA layer” this just means the “contextual event attendee information”. In other words, the alerts would be available for users who access the website on mobile or desktop as well, since the “PWA” is not something separate from the website. As for the preferred colors, the PWA feature plugin re-uses the active theme’s background-color theme option for the app’s theme color by default, if it is available. But this is different from the design of the contextual attendee information (the sticky UI at the bottom of the screen). Perhaps that could also pull from theme color defaults, but then a theme could add theme support for the event information to further customize the design of the bar. I suppose the template for the bar should also be overridable in the theme. My understanding is that the PWA feature plugin would provide the foundational APIs. Since a PWA is just a website, it would use a responsive theme like any WordPress site should. Any feature of the mobile device should be available on the desktop screen as well. Is there a desktop design for the contextual attendee information that is shown while the event is happening? Looks really good and would be most welcome. 1. I have very little idea what any of those nav icons mean at first glance. I can infer a bit knowing what most WC website are about, but if it’s unclear to me it sure going to be unclear to 1st time attendees. 2. Mockups for sponsor pages and ideas around that would be a welcome addition. Less so as city camps, but at WCEU there are usually 2-3 sponsors I want to find and talk to and it’s really hard to figure out where they are. Booth location, sponsor event information (scheduled demos, talks, etc) would be a nice add for desktop and PWA. Schedule builder with alert notifications… OMG I’m in love… I’m sure I miss 75% of the talks I want to go to because I’m distracted in the hallway. I agree with #1, icons offer a very poor UX if they don’t have corresponding text labels. Thanks Jon/Ian – Apologies… this was a mistake in the Photoshop document layers. The nav icons do indeed have text below them, and I’ve now swapped out the images in the post to demonstrate this. Well spotted. Would the PWA content be populated via REST API endpoints? Attendee data is not currently available via an endpoint. There’s a ticket to enable it, but it probably needs a refresh at this point. …apart from ‘Announcements’, which will need a new Custom Post Type to be added, potentially with its own custom taxonomy (to allow users to filter different types of announcements). Why not just use standard posts? My impression is that most WordCamp sites use blog posts as news/announcements already. That’s what I was thinking too. That would make the content available to everybody, instead of just to the fraction of attendees who enable notifications. When creating a post, there could be a checkbox to send an alert for a blog post, similar to how a lot of “sharing” plugins work. There was certainly some discussion around this. The feeling was that many of the alerts during the Camp – i.e. for specific site based information, catering announcements, etc. – just weren’t going to be relevant for non-attendees viewing the site. Yes, we could hide these “alerts” posts from the main posts pages, but they would still turn up in feeds, etc. There would not be any way to determine who is an attendee or not. If someone is visiting the site during the event then it should assume that they are an attendee. They could even be live-streamers. If they aren’t an attendee, then there would just be some additional information shown on the screen that would be irrelevant, but I highly doubt there would be many visitors to a WordCamp site during the event who would not also be attendees. That’s my feeling as well, I can’t really think of any common use cases for non-attendees visiting the site. Even if they do, it doesn’t seem like a big deal for them to see information that’s relevant to attendees. At least for v1, I feel like tying into the existing (blog post -> email) system would be simpler, giving us less code to maintain, and less work for organizers since they wouldn’t have to post in two different places in order to reach more attendees. We could always add complexity in v2 if enough camps run into experiences that warrant it, though. I agree with Weston and Ian, here. There’s no compelling reason to limit who can see an announcements on a WordCamp website. If non-attendees see alerts about changes to the event on the day-of, that’s more of a feature than a bug — allows potential attendees a window into the experience of attending. I tend to agree with Corey, Ian and Weston here. Having a yet another post type in WordCamp site isn’t the friendliest thing to do for organizers. I think that WCEU and their needs are not a good example, because it does not really represent the type of “normal” WordCamp. I can imagine that WCEU could benefit from having a separate post type for the announcements, but can’t really see how average camp would benefit from that. Usually, the team doesn’t even have time to do any updates other than maybe to their twitter account or have a real need to announce things online, since MC’s can do that between the talks. I agree with Timi, Weston, Ian, and Corey — adding another post type to wordcamp.org seems like an unnecessary complication, at least not for the purposes of the PWA plugin. Using the blog to make announcements will create more effective announcements, because more people will have access to them (not just the people using the site via the PWA). Most WordCamp organizing teams are small; made up of 5-15 people with varying degrees of technical expertise. Everyone’s learning our custom tools in their spare time, so we try — not always successfully, I’ll admit — to make them simple, predictable, and familiar. While we want to keep improving wordcamp.org and adding features that improve the attendee and organizer experience, it’s important to remember that new features bring a long-term maintenance burden that is shouldered by very few people. We should add complexity only as a last resort — both to make our tools easy for organizers to use, and also to make them easy to maintain. I’m curious to learn more about having a separate layer of content; does that mean that you’d be writing new PHP/HTML/CSS/JS for things like the Schedule, Attendees and Speakers pages, rather than using the existing pages? If so, that doesn’t feel like a PWA to me. My understanding is that PWAs are supposed to progressively enhance a standard website, not replace it. Having a separate layer feels similar to the anti-pattern from years ago of creating a separate mobile website, rather than creating a proper responsive website. What were the benefits of that approach, and the drawbacks of a conventional PWA approach? Related to that, my first instinct is that it would be better to build patches for the existing schedule/attendees/speakers/etc plugins, rather than a separate plugin, so that the improvements are integrated into the existing code rather than duplicating functionality. The feeling was that Camp attendees were looking for very specific content and a different type of experience during the Camp than at other times of the year. The idea is to put context based information front and centre for attendees during the Camp itself – schedules, venues, maps, speakers – and have this key info available offline. We were also conscious that only a limited amount of data from the site could be stored for offline access on a user’s device, hence the creation of a separate “layer” of information for conference. But this layer of temporal attendee information would not be limited to the “PWA”. It would be available to everyone who visits the site during the event. In other words, it’s like a section/UI of the site that is disabled while the event is not happening. Right? I can definitely see the value of having that kind of information made more prominent on the site, to help attendees discover it during the event. Camps have done similar things before with “day of” templates, so that the homepage has the schedule, etc. I don’t see why we would need to duplicate the content in order to do that, though. What’s the reason that the “context menu” couldn’t just link to the existing pages? If there are design or functionality improvements desired, we could make those to the existing pages, so that they benefit everyone. What are the specific offline storage limits, and the weights of the existing pages vs new pages? For WordCamp Europe would it be possible to extend the favorites selection? I see the ability to have a personal schedule bucket that events can be dragged and dropped in. When there are conflicts the user can select which they plan to attend and the other can be added to favorites. One advantage is that organizers will have a better estimate of capacity requirements in advance. For example, additional seating could be brought in if possible and required. Another advantage is that users can be notified if there are changes, if they should arrive early if the event is filling up and when recordings have been published. The data collected will be valuable for organizers for future planning. I see this as valuable for the largest WordCamp with its overlapping events and presentations. Tied to the alerting for events, will you have alert levels by importance? Not just for general alerts such as an emergency, but for example; if an event is canceled that someone plans to attend, it should be a red alert for them, but not for others. There are probably some privacy implications around storing preferences and schedule attendance for individuals centrally, but I like the idea that this could feed back potential popularity of sessions to Camp organisers as sessions are favourited. I’d probably scope that discussion for v2 or beyond, since there’s already a lot to work on. I think getting a lean MVP out the door will help build momentum and avoid getting bogged down in all the possibilities. Another comment I would add is if attendees all have wordpress.org or wordpress.com profiles, you will have a place to flag them as attending on registration. Assuming, your GDPR compliance is in order by the conference you can use this to target alerts and messages. Nice idea – tho, yes, GDPR needs to be factored in here. I’m wondering how effective the notifications system will be in practice. It seems like only a fraction of attendees will opt-in to it, so organizers will still need to make important announcements in person (at the start of sessions, or over an intercom system, etc). If that’s an accurate assumption, then I’m wondering if we could have a bigger impact by spending that time and energy on a different feature instead? I’m curious to hear what other organizers think, though. Just a thought from a UX perspective: You have that pink action button at the bottom that can be activated by tap/swipe, but on most (all?) Android phones, the phone’s home button is right below the middle of the screen. This would mean that it would be very easy for someone to accidentally hit the home button and exit their browser every time they want to get to that menu. Speaking from experience here as I have often done that when clicking links/buttons at the bottom of the viewport. It’s a good point, Hugh… although we are keen to go for a menu that is visually distinct from, and in a different position to the main WordCamp site navigation below it. As a result, bottom of the screen was the obvious choice… although the button could be placed to one side, I guess. To one side, but still at the bottom, would then line up with the android phone ‘back’ button, which would be equally frustrating. How most Android apps work through this issue (if they have an action button like that) is that they put the button on the side of the screen where it is easy to use with your thumb. Not saying that’s the best option, but you need to make sure this is tested on all types of devices to avoid this sort of thing. I think having an easy mobile option for WordCamps is a great route. I am excited to see where this goes. That said, I think the current designs could do with thinking a little more about use cases. For example, one of the foundations of this should be performance (fast to use) and usability. I am not sure the current design and patterns used to maximise the potential there. I would encourage you to think along the lines of Material design, actually using those patterns for the experience. It doesn’t have to be that similar to the website; it can have hints that nod back to it. A significant change I suggest is the navigation wheel. That isn’t an excellent interaction element from a usability view. I would encourage exploring other options there. Ideally this can be used ‘on the go’ and as a result, needs to be easier to use. Similarly, it would help if you explored across all devices as Hugh mentioned. That’s where using existing patterns like Material would benefit you. I understand you are showing tablet as a view, but really with the majority of tablets, a PWA view isn’t needed. Can you explain a little more why from user research you explored a tablet view? Similarly, I would love to know more about what your target audience is for this and the research leading up to that. Yes, I hear you on the nav wheel. We discussed this at yesterday’s PWA meeting, and feel that there should be no need for more than 5 nav items on this “attendees layer” of the website. After all, we want to keep this layer to the minimum key choices for users for ease of use. As a result, we feel that these nav items can be fixed, with no need to spin or animate further. 3) Allow other WordCamps to make use of this functionality easily on their own Camp site, by simply “switching on” this layer during their event, and have it populate from their existing WordCamp WP site content. The thought to have this layer appear on tablet/smaller laptops as well as mobile was that a number of organisers themselves primarily use tablets/laptop devices at Camps, and reported that they value having access to this layer of attendee-specific content on these devices. I wonder if it’d be simpler, and less intrusive, to have a custom home page across all devices, rather than a special “mobile-esque” menu that blocks access to the content until it’s interacted with? That also feels like it’s more in line with a conventional PWA approach, and user’s expectations when interacting with a website. So on mobile, the regular menu would be hidden like normal, but when users scroll down they can see all of the essential content already displayed on the home page. There could be links at the top of the content area that jump down to specific parts of the page. The desktop/table views would behave similarly, although the full main menu would be available. That’s just a rough idea, but I think personally that feels like better UX to me. We would definitely use it at WordCamp Panama City 2019 by october 2019. The only thing we would ask for is it can be localized, for we would need it to be in spanish (or maybe be able to switch between languages). I’m up for colaborating in translation to spanish language. That would definitely be a requirement, and it should be pretty easy, since we already have wordcamp.org setup in GlotPress. I originally misunderstood these mockups — I thought this was going to be almost like a mobile theme, like Minileven, that focused on things like performance and caching and offline support via service workers. I assumed it was something that would mostly replace the WordCamp site, but after reading all the comments, it looks like instead, it exists in addition to the WordCamp site. Does this sound correct? If so, I agree with some folks above that this isn’t an ideal experience for WordCampers or Organizers. Instead of creating an overlaid experience, I think it would benefit everyone to build something that takes advantage of, and extends, the existing WordCamp themes and features. Improving the WordCamp themes’ small-screen experiences, borrowing from mobile app patterns to make them feel more small-screen native. Offering a “day of” menu, so you can pare down your menu during the conference without changing your full menu. Updating the “day of” template to pre-populate the page with curated Gutenberg blocks. Pre-loading image dimensions and serving up a placeholder so content doesn’t jump around during page load. Improvements like these, along with PWA features like live updating, offline support, better performance, and opt-in push notifications would make for a pretty fantastic user experience, IMO. Agreed, adding this in the base WordCamp theme should be the longer term aim. However, due to time pressures on volunteers getting a MVP ready and tested by WCEU, and to ensure that other Camps can take advantage of this functionality regardless of what WordCamp theme they choose to use, the plugin / attendee layer option seemed like a good first step. This can then be iterated on, or combined with the underlying theme, in future. Do you still feel that way in light of my earlier comment? 3. making some of this available offline. Starting off with 1., I agree with the others, that the _existing_ page content should be adjusted to work better for mobile devices. 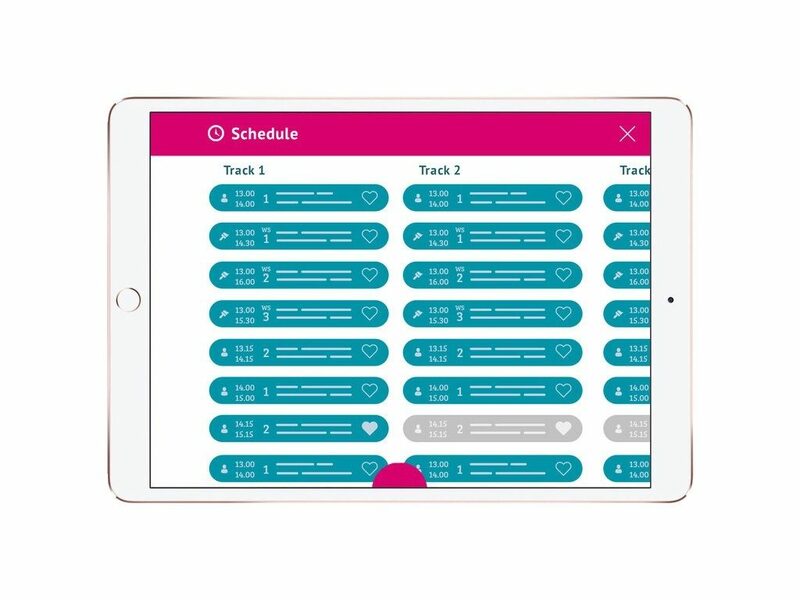 Search and filter fields would be of benefit for schedules, speakers and attendees at all times, from mobile or desktop. Likewise, I could see how someone with mobility issues may be keen on seeing floor plans / layout of the venue even before buying a ticket, to ensure they would feel comfortable getting around. Improving the content of these critical pages for mobiles and tablets removes the need to start tapping into APIs, duplicating data and presenting them in a new way that only exists during the event itself. With 2., if the pages themselves aren’t anything “special” on mobile, then all that’s needed is a way to access them quickly on the day. A standard WP menu, suitable for mobile devices (hamburger icon, side-overlay, etc.) seems it would do the job here. Nothing needs re-inventing to solve this problem. The navigation wheel also may have accessibility issues to overcome. With 3. making page contents available offline might have some use, but what problem is it trying to solve? Data usage on the device? Avoiding overloading the wifi at a venue? It’s already stated that Attendees page content would not be available offline, but something like the schedule might only be storable for a limited time, for when a speaker doesn’t show and a change is made and published. A locations map likely wouldn’t need changing, but only the really big WordCamps need any sort of map since signage and asking volunteers for directions is typically easier than pulling out a device and trying to work out where one is on the map (and GPS often fails inside). That leaves the alerts – and that seems… like a problem a website shouldn’t be solving. We’re grown adults – we can look at a clock, or set an alarm to remind us to go and see a specific talk. Any sort of alerts (push notifications) that might be hard-coded to happen x minutes before a talk wouldn’t work for every case – the distance between rooms is different in each venue, folks need different amounts of time to go the same distance, alerts might go off before the previous talk has even finished, etc. Other alerts (lunch, workshops, after party reminders) are usually given out by MCs – which has the advantage that organisers know that everyone has got them, which can’t be said if trying to rely on technology alone. Overall then, other than the essential task of enhancing the key pages to make them easier to use on mobile devices, I’m struggling to see what value or advantage there is in the proposed development for solving real problems for everyone compared to what we already have. I mostly agree with your assessments of #1 (custom content) and #2 (custom navigation), and #4 (notifications). I do think there’s some value in #3 (offline schedule), though. I think the main problem it solves is when the user doesn’t have access to data (because they don’t get a strong signal, or they’ve exhausted their allotment for the month, or they rely on WiFi instead of cellular). Saving data usage is a nice additional benefit. And we all know that WiFi at conference venues is notoriously unreliable. If I understand it correctly, “offline” support would also work as aggressive caching, making the site load instantly even when you do have network access. Not all camps do a great job with signs and easy-to-find volunteers, too. Have you ever used the Android app for WordCamps? If so, what were the reasons you used that instead of the responsive website? Would all of those be solved by improving the content of those page, or are there maybe PWA features we haven’t considered here yet? On 1) Agreed – the long term aim should be to “PWA”-ify the base WordCamp themes. However, currently WordCamps have a choice of a bunch of Themes that they can use for their WordCamp. The benefits of using a plugin is we can allow WordCamps to still have a choice of themes, but could use this plugin to turn on this additional layer of PWA content regardless. Plus, reworking the entire theme is a larger task, and probably would not get completed before this year’s WCEU, given that we’re reliant entirely on voluntary effort to get this up and running. Hopefully, a plugin can provide a first step towards a more integrated, theme based PWA approach, and we can collect some learning to inform this along the way. 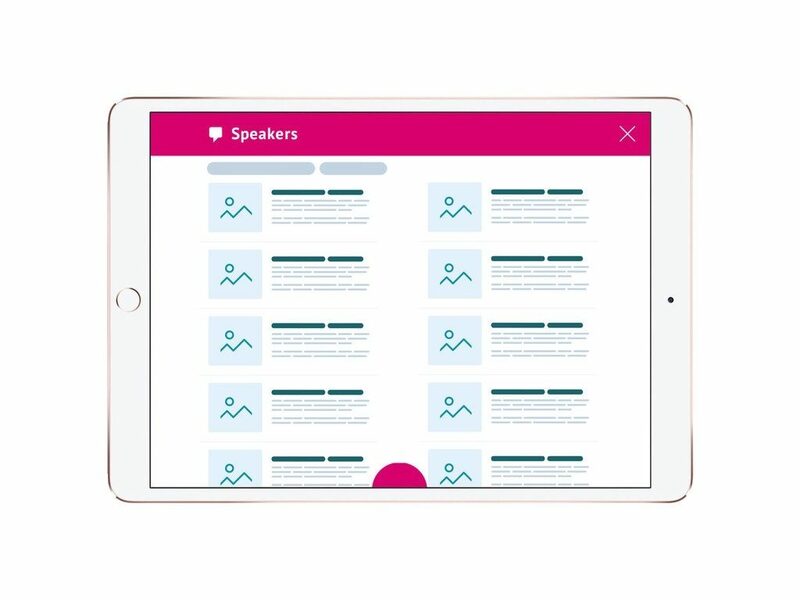 2 & 3) The additional layer, which would be available offline, is really meant to put the most relevant info at the fingertips of attenders during the conference – even if the internet connection is lost (which sometimes happens in conference venues, or mobile data allowance exceeded). Previous PWAs have done this, but on a different URL, so haven’t been so easy to promote – and have not been powered directly from the existing WordCamp WP install. 3) For alerts – this is more to handle unexpected things that come up during the conference – changes to the schedule, lost property, calls for particular attendees. Yes, this goes out via Twitter, but people shouldn’t need a Twitter account to have access to this info. All of the functionality on WordCamp.org already exists in plugins, and camps use them independent of the theme that they choose. We never build features into themes, since that’s an anti-pattern. In light of that, do you still see a need for a new plugin? I agree with the goal of putting the most relevant info at attendee’s fingertips, but what I’m stuck on is whether or not the overlay wheel menu is the best way to achieve that goal. Can you clarify the pros and cons that you see with the wheel overlay and the alternatives discussed in Gary’s and other comments? I definitely agree that attendees shouldn’t have to use Twitter, but I don’t think anyone is suggesting that. It seems like Gary’s questions about the usefulness/effectiveness of PWA notifications still apply to those types of announcements. For changes to the schedule, I don’t currently see how PWA notifications (or any online communication) could take the place of in-person announcements. That’s such a fundamental concern that I think organizers will always need to announce that before sessions start, in order to guarantee that as many people as possible are made aware. What percentage of attendees do you estimate would “install” the PWA and opt-in to notifications? For lost property, it personally seems excessive to me to interrupt hundreds of people for something targeted at a single person. I wonder if it’d be better to just mention during opening and closing remarks that there’s a “lost and found” box at the registration desk? For calls for particular attendees, I can’t remember a time when I’ve ever seen that happen. How common is it in other peoples’ experience? For organizers, speakers, and or other volunteers, it seems like you’d already have their phone number for any urgent communication. Gary makes some great points above. I agree, but I also think people shouldn’t need a smartphone to access this info. 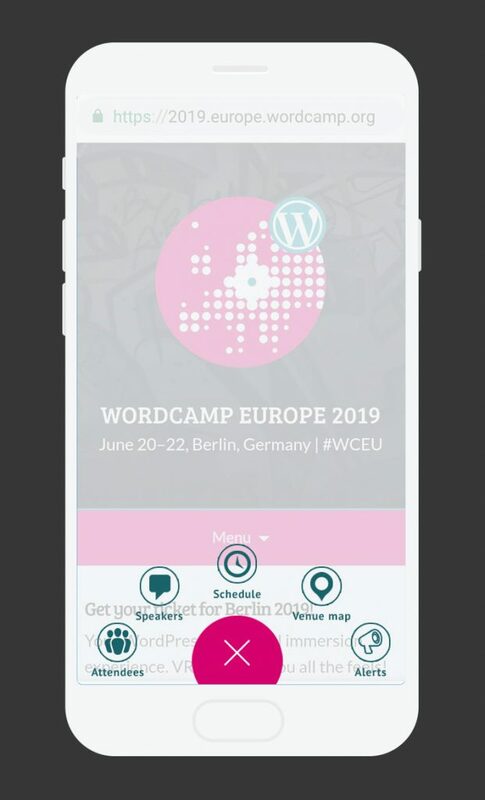 🙂 We won’t be requiring anyone to access the WordCamp website on mobile to attend the event, so we can’t depend on the PWA to get important alerts to people. Between-session announcements are, in the case of alerts relevant to people at the event, the perfect tool. We won’t be requiring anyone to access the WordCamp website on mobile to attend the event, so we can’t depend on the PWA to get important alerts to people. Though note that the PWA would not depend on a mobile device. Anyone accessing the site on desktop could also get these alerts. Nevertheless, I for one almost always dismiss the prompt to be sent notifications from a PWA (i.e. a website). So I agree it’s not something that can be relied upon, but for a reason other than the dependency on a mobile device. A standard WP menu, suitable for mobile devices (hamburger icon, side-overlay, etc.) seems it would do the job here. Nothing needs re-inventing to solve this problem. The navigation wheel also may have accessibility issues to overcome. Since camps all customize their CSS, I think that might be a better approach. The default styles could setup the basics for displaying properly, and then, if a camp wanted to make it look like a wheel with an overlay, they could just use their CSS to do that. Google’s PWA checklist is a really nice collection of things we can do to make the mobile experience feel more like a native app. I want to say thanks to everyone who’s participated in this conversation so far, and especially to @marcusjwilson, who has the hardest job of all. It takes a lot of courage to put an idea out there for the whole community to critique, but that process is also essential to refining the idea until it’s ready to meet the needs of all camps, and do so in the most effective way possible. Kudos Marcus! I know we’re going back and forth on the merits of individual features and particular implementation details, but I want to reiterate that I think PWA features and streamlined “day-of” templates both have a lot of potential to improve the experiences of WordCamp attendees. I’m glad we’re doing the hard work to refine these ideas, because it’ll allow us to ultimately move forward to the building phase with more confidence and greater success. Thanks, Ian – I know the WCEU 2019 Attendee Services team who are leading on the development of this are keeping an eye on this thread too, but I will raise these issues and suggestions with them. Since we’re building Gutenberg blocks for several key shortcodes, I wonder if building some of this as a template of blocks might make sense. @melchoyce, what do you think about that? Can you tell me a little bit more about what you’re envisioning? I was thinking that, if certain conditions are met, then we’d automatically set the homepage to use a custom page template. That custom page template would show blocks for a menu, schedule, location, etc. The menu links would just jump down to the anchors of each block the homepage, rather than linking to external pages. For v1, we might want to hardcode everything, but v2 we could build something to let people choose & re-arrange the blocks. 1) The organizers have opted-in to the feature. Ideally we could have this enabled by default, but I think we’ll need organizers to preview it first to make sure it works for their needs. 3) The current date matches when the camp is active (i.e., start showing the custom template the day before the camp starts, and stop showing it at midnight on the day the camp ends). That’s just a rough idea, though. I don’t think we’d want to lose the existing menus, though — for example, what if someone needs information on the CoC and can’t find it? So we’ll need to think carefully about how we want to approach that. Maybe a menu in the page content, especially once Gutenberg menus exist. Yeah, that’s what I was thinking. The header nav would remain the same, but the homepage content area would start with a menu block, and then the other blocks. Cool — let’s definitely give this a try when Phase 2 is a little further along.